Ginger is the underground root of Zingiber officiale, a plant native to Asia. As the University of Maryland Medical Center points out, ginger has been used for medicinal purposes for thousands of years in a variety of cultures to treat maladies such as nausea, headaches, motion sickness, and cold and flu symptoms such as coughing. 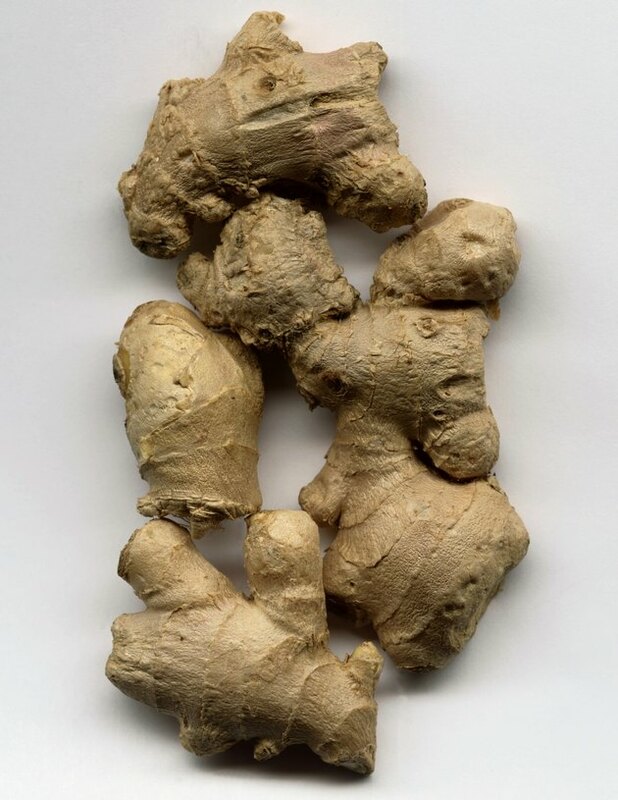 Ginger is a knotted, underground stem known as a rhizome. In addition to its medicinal uses, ginger is a popular food seasoning used extensively in Asian cuisine. According to the National Institutes of Health's MedlinePlus website, the chemicals contained in ginger seem to be effective in reducing nausea and inflammation. Although research on ginger's chemical composition has been limited, results seem to indicate these chemicals work mainly in the stomach and intestines, although these same chemicals might also affect the brain and nervous system. Ginger is often used to soothe sore throats and reduce coughing, especially those caused by the common cold. In fact, ginger lozenges and other medicinal products are commercially available, designed with the express purposed of treating coughs. Another way ginger can be used to treat coughing, notes the University of Maryland Medical Center, is to add a drop of ginger oil or a few slices of fresh ginger to a bowl of steaming water, which you can inhale so the aromatic vapors can soothe your sore throat. Ginger can be combined with hot water, lemon and honey to make a an Ayurvedic tea specifically designed to treat a cough and the accompanying sore throat. The West Coast Ayurveda website offers a recipe for ginger tea: Boil one cup of water in a pot on the stove along with 1/8 tsp. of fresh grated ginger and the squeezed juice of half a fresh lemon. After it comes to a boil, pour into a cup and add 1 tbsp. of honey. According to the RxMed website, the medicinal components of ginger are its essential oils, antioxidants and oleoresin. Oleoresin, in fact, is known for is antitussive abilities, meaning that it can relieve and suppress coughing. The aromatic compounds found in ginger are the phenylalkylketones, which are known as gingerols, shogaols and zingerone. They are the chemical compounds that provide ginger with its medicinal qualities and ability to soothe coughs.